Alpacas are a great investment and you do not want to lose animals because of a plant in their pasture. There are poisonous plants that will cause uncomfort for them and others that will kill them. I have compiled a small list of poisonous plants for alpacas that you do not want near your animals. The information comes from Wikipedia, the Canadian poisonous plant registry and from experienced alpaca breeders websites. Many ornamental plants are not good for the alpaca herd. Plants such as azalea and rhododendron cause violent reaction and too often death for alpacas and llamas. Only one leaf suffices to kill a full-grown alpaca. Azalea – This plant is beautiful and flower colors range from white, light pink, dark pink, yellow to blue. They are highly poisonous because they contain andromedotoxins in their leaves and nectar. Andromedotoxins are also called grayanotoxin I, acetylandromedol, rhodotoxin and asebotoxin. These are all neurotoxins. When accidentally consumed by humans, clinical symptoms include various cardiovascular effects, nausea and vomiting, and a change in consciousness. In contrast to humans, andromedotoxins are extremely lethal to animals. Rhododendron – Rhodos are from the same plant family as the azalea. The bush and the flowers are larger. This plant contains grayanotoxins in their pollen and nectar. Rhododendron is extremely toxic to horses, with some animals dying within a few hours of ingesting the plant, although most horses tend to avoid it if they have access to good forage. The plant is also a violent poison to alpacas and llamas. I have learned of a story with a good finish. One of my friend’s alpaca ate one leaf and started feeling really bad. She ran to the pharmacy and bought all the Peptobismol available on the shelve and gave it all to the animal. It survived and is now well. 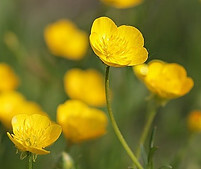 Buttercup – This plant spreads rapidly in fields and pastures. Grazing animals usually do not eat them however they will by desperation when there is a lack of other edible plants in an overgrazed pasture. Symptoms of poisoning include bloody diarrhea, excessive salivation, colic, and severe blistering of the mouth, mucous membranes and gastrointestinal tract. The toxins are degraded by drying, so hay containing dried buttercups is safe. When the alpaca has a weak immune system, buttercup causes accumulated toxin that may deteriorate the animal’s health. Manipulation by humans will breakup the ranunculin the plant contains. Ranunculin becomes glucose and toxic protoanemonin. It causes itch, rashes or blistering on contact with the skin. 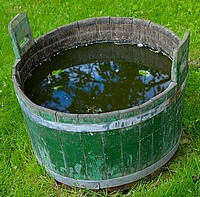 Ingesting the toxin can cause nausea, vomiting, dizziness, spasms, acute hepatitis, jaundice or paralysis. Scotch Broom – Brooms are native shrubs to western and central Europe. They are invasive species in North America notably in British Columbia, Canada where they were introduced as ornamental plants. They grow on land on each side of highways. They will compete with tree seeding preventing reforestation. 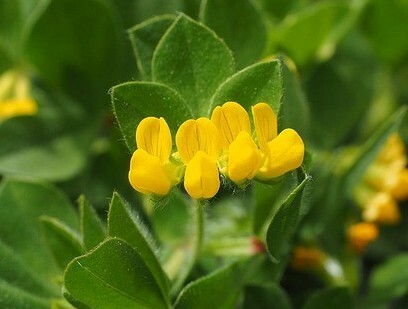 The plant is also found near pastures and must be destroyed. Scottish brooms are not toxic but the seed pods they produce contain toxic alkaloids that depress the heart and nervous system. The mature pods are black and measure 2 to 3 cm by 8 mm broad. Eradication should be performed during late fall to early spring. During warmer period, the eradication methods may distribute the seeds and regenerate the species more. Methods include cutting, pulling, burning and herbicide application. Goats and chicken will also partly eradicate the plant. Poisonous Hemlock – Poisonous hemlock, Conium maculatum, an invasive species native to Europe potentially deadly to humans and animals if ingested. Two people spent five days in hospital in 2002 after eating poisonous hemlock, possibly mistaking it for parsley. The couple reported numbness in their mouths and went into respiratory arrest. The fact that the couple cooked the plant before eating it likely saved their lives. When ingested, poisonous hemlock can cause paralysis, which can lead to an inability to breathe and death. Poisonous hemlock, identifiable by the purple splotches on its stem, grows in recently disturbed soils and is easily found on construction sites and near developments. It is also often found along streams and ditches and on the borders of pastures and cropland, and it can invade perennial crops. The plant is related to giant hog weed, another poisonous plant found locally. All parts of the hemlock plant are poisonous, so people should wear gloves and protective clothing when removing it. Flowering stems should be cut as close to the ground as possible. Young plants can be removed by digging or pulling up the roots. Prevention is much better than treating a sick animal. Keep your pastures clean and keep poisonous plants away from the fences. Alpacas will reach out through the fence to get to the “greener” grass on the other side. Make sure cria (baby alpacas) cannot go through the fence and get into trouble. Alpacas must be kept hydrated and fed. Ensure they always have access to clean water. Feed them with hay at least once a day and specially prepared pellets. Most pellets available from the feed stores include the minerals necessary for the animals in your area. They are developed specifically for alpacas and take into consideration the quality of the vegetation in your part of your Country. My foundation animals were from the province of Quebec and their feed was developed for the Eastern Townships where they were born. When I moved the alpacas to British Columbia, the vegetation mineral content was totally different and the pellets available here take this into consideration. When the alpacas are hydrated and fed correctly, their immune system is strong and they have a much better chance to fight against poisonous plants. Find a vet that knows about alpacas and enjoys working with them. You must deal with a large animal vet hospital or a large animal mobile vet. When dealing with animals that have already eaten poisonous plants, often not much can be done. Work with the vet to identify the dangerous plants and be very proactive. The knowledgeable vet will be able to provide you with a list of the undesirable plants and will help you identify them. Become a member of your area association. On Vancouver Island, for example, we have VILAC Vancouver Island Llama and Alpaca Club. The members meet at least a couple of times a year and organize social gathering. They do have information session for the members with invited guess speakers. Their website includes lots of information for newbies and experienced breeders. You can also get information from the national associations such as Alpaca Canada or Alpaca Owner Association in the States. Registries also have lots of interesting information. For Canada, see Canadian Llama and Alpaca Registry and for the United States see the instructions and prices through Alpaca Owners Association Inc.
Prevention is far better than treating a sick animal from poisonous plants for alpacas. The plants mentioned in this blog are only a few of the harmful species dangerous to animals. You can use this list as a starting point. Continue your search by talking with you vet and with other alpaca owners. Protect your investment by managing well your pasture and the food you give to the herd. If you have questions or you want to give readers more information about poisonous plants for alpacas, please feel free to use the comment space below. I will be happy to reply to your question and to thank you for any additional data you may want to share.